Does your family like taking things to the limit? How about experiencing out-of-this-world activities? Do the kids like to try too-good-to-be-true kinds of foods? From the biggest pizzas to the tallest tower drops, take your family to a place of unique experiences during your trip to the Philippines. This list of crazy activities gets better: the father you read through the list, the crazier it gets! How adventurous will your family be? Read on and witness the beauty of this world crazy Filipino style! It’s always nice to start the day with a nice meal, but it’s even better to start it with a huge meal! At Pizzaville, in Manila, your family can snarf down a whopping 70-inch (175 centimeter) pizza (about $160 USD). Yes, that’s right, even those eaters with bottomless stomachs might get full! Your pizza’s diameter is even wider than than Tom Cruise and Daniel Radcliffe are tall! Now, you might think that eating this big pizza will tire out your taste buds. Don’t worry though, because you can choose different toppings for each enormous slice. Does one kid like anchovies while another can’t stand them? No problem! They also serve 50-, 30-, 20-, 14-, and 10-inch pizzas for more reasonable appetites. Have you ever dreamt of being a fish? Are any of the kids mermaid enthusiasts? Do you like experiencing the beauty of the underwater world? Try manta ray diving while you are journeying around the Philippines. The mechanics of this activity are simple: there’s a Jet Ski, there’s a rope, and there’s you! The rope is attached to a plank-like apparatus that determines your swimming direction: tilt it upwards and you’ll go up, or tilt it downwards and you’ll go down. You don’t have to bother moving your feet in order to swim or move underwater. Just let yourself be carried away and experience the ocean world around you. Pay $9 USD per person for the first fifteen minutes of diving, and then pay $1 USD for each additional five minutes. Journey with the kids to Anilao, Batangas (Manila → Buendia Bus Terminal → Batangas City Bus Terminal → Mabini → Anilao), to visit the manta rays yourselves. Do you think that going to eat at a run-of-the-mill restaurant is boring and mainstream? Have you ever eaten whilst inside a waterfall? Sometimes the kids need a little mealtime excitement! This restaurant in Villa Escudero plantation resort is literally in a river. Imagine the scenery of waterfalls unveiling its beauty right in front of you while you eat. You’ll be enjoying traditional Filipino fare while your feet prune in a clear stream! 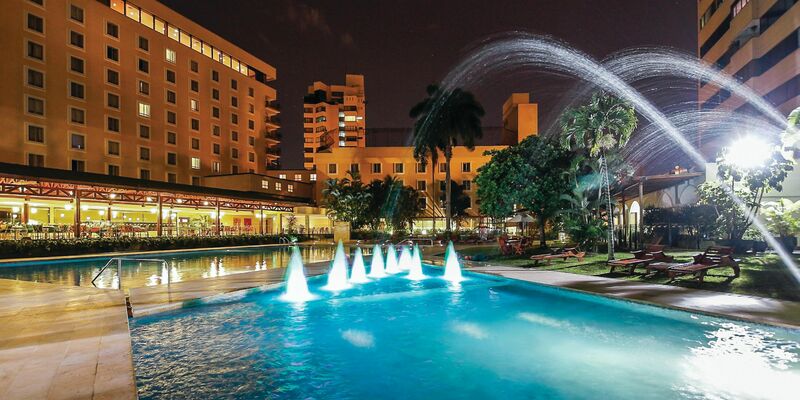 The kids will enjoy frolicking around the water features and tasting local delights. Boil an Egg… in a Volcano! Do you like exploring? Do you like a wonderful view? Do you like volcanoes? Taal is the best option! It is one of the world’s smallest volcanoes, and it has been inactive since 1977 (and it is expected to stay in that state!). You and the kids can hike right up to the crater, and little kids or those who aren’t fond on hiking can ride horses that locals rent at the trailhead. The funny part is that after you take photos and enjoy with your family through the journey, you can boil an egg! There are geothermal waters on the way to the volcano’s crater that are boiling–just don’t forget to bring your egg! Visit this volcano in Taal, Batangas! Do you like heights? Do you like an adrenaline rush? Then this tower is for you! It is called the Ekstreme Tower in the Enchanted Kingdom. The tower is one of the best rides in the amusement park. The slow, upward movement will fill riders with anticipation as the ride approaches its full height of 40 meters (minimum height to ride is 4 feet/122 centimeters), before you’ll drop at about 76 kilometers/hour. There are some restrictions for tourists having health issues, so be sure your family is fit to ride. Otherwise, the staff will assist and attend to everyone before starting the ride. The higher it gets, the more beautiful the view is! Enchanted Kingdom’s totality will be seen on one side while the busy city of San Pablo will come into view on the other side. If the children don’t like this level of a rush, other rides in the park are also available. And you can rest easy–the park is internationally certified for the safety of their rides. Tickets cost $17 USD per adult and $11 USD for kids. Visit the park on a weekday for an extra discount! Do you like slides? Do you like an adrenaline rush? Well, a visit to Splash Island in Biñan, Laguna will be perfect for your family! These slides are not the normal pool slides–they are extremely long, curvy, and steep. Riding in one will feel like riding a rollercoaster. 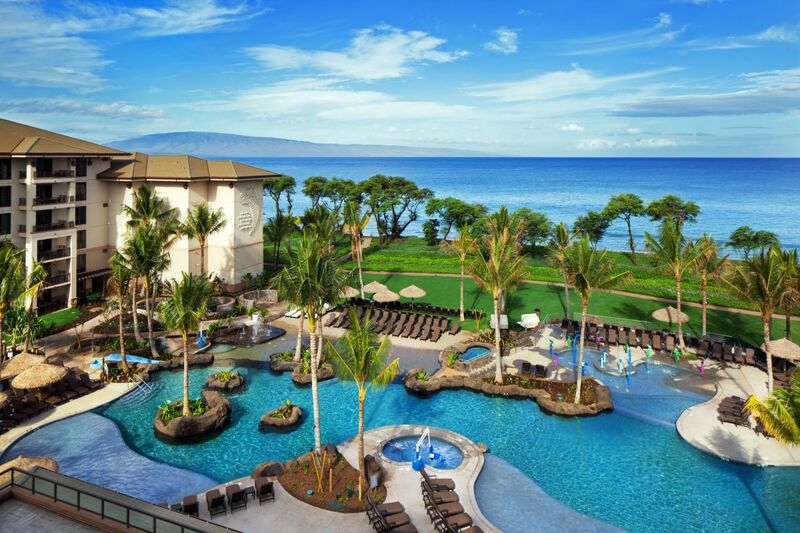 For less adventurous water lovers, there are varieties of activities to choose from, like lazy rivers and beach pools. Family slides are also available where the whole brood can go together while riding in a giant inflatable apparatus. It is truly an extreme experience for the whole family, and it won’t break the bank, either! A mere $9 USD per person will grant you access to this waterslide heaven. Does one kid love heights? Is another a biking enthusiast? Do you like ziplines? Then cycling on a zipline at Chocolate Hills Adventure Park will tickle everyone’s fancy! Unlike a normal zipline, the rider can actually control his or her speed. Speed up if you like that roller coaster experience, or slow down to enjoy the moment and indulge in the beautiful surroundings. Anxious about safety? The ride is complete with safety features, and orientations are held before you embark on the journey. The entrance fee for the adventure park costs a mere $1 USD per person, while the bike-zipline costs $8 USD per person. Other activities include a surf-zipline (what?! ), a collection of ropes courses, and a petting zoo for the tiniest tots. Dive with a Whale Shark! Do you like the sea? Do you like giants? Do you like whale sharks? 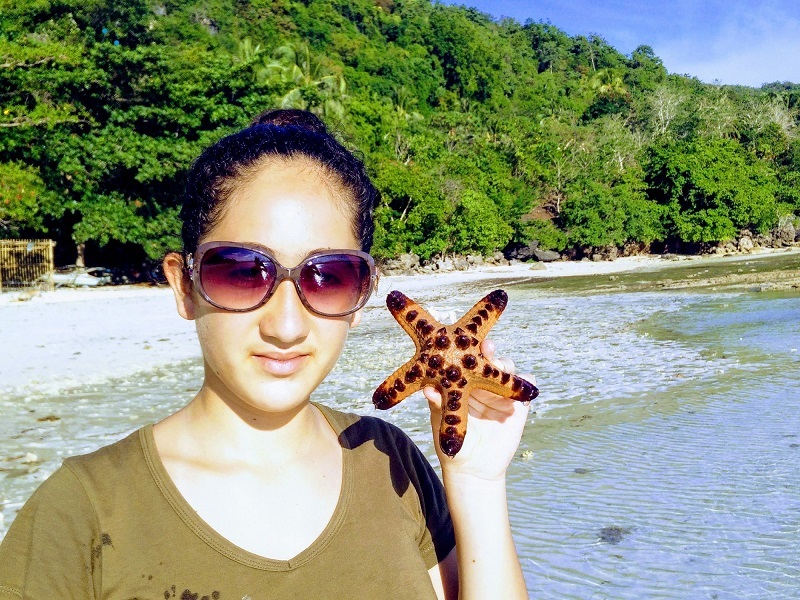 Go diving at Donsol Bay, Sorsogon, and be with gigantic friendly ocean life! Needless to say, this is an absolutely incredible experience. Imagine bobbing in the sea with creatures who are about 30 times bigger than you! You’ll see whale sharks, manta rays, and maybe even a hammerhead shark if you’re lucky. And it’s perfectly safe! The diving instructors are fully-equipped with all the necessary gear and ensure that you are acquainted with all safety procedures. Try a “Discover SCUBA Diving” course for an introduction to the activity, which will certify you to dive up to 40 feet for one year ($86 USD per person). For an open-water diving certification, expect to pay around $300 USD. Even though it is much more expensive, this option might suit your family best if you’re looking to dive around different Philippine islands, as the certification gained through this course lasts for life! Make sure you do not skimp in this department–the last thing you want while SCUBA diving is faulty, unreliable gear. Being in the Philippines is all about water activities, and if you and the kids haven’t had enough yet, then try flyboarding! While the less adventurous family members go swimming near the shore, the craziest children can try this exciting activity. A piece of equipment attached to your feet shoots out a strong stream of water, and the high pressure of water enables the rider fly over the sea. Feet movements determine where you are going and if you’re going to fall or not. Some professionals can actually do tricks while riding this apparatus! Experience it at Subic Bay for around $80 USD and we guarantee you to have the best time of your life. Riding on an airplane is thrilling, and you and the kids have certainly done a lot of that during your international travels… but what if you were going to jump out of it? We don’t need to say anything–you know skydiving is crazily awesome! Visit Cebu to try skydiving, but the experience is only available for those 18 and up, and an ID or passport is required. This one won’t be cheap. The price runs about $350 USD per person–but again, you don’t want to go on a cheap skydiving expedition, do you? You and your brood will remember this experience for the rest of your lives, so if you have the funds, go for it! Need some more ideas for fun family destinations? Check out our article on more amazing Philippine locales here!